Participating this year for the third time at Ambiente on the CBI Platform in Hall 10.1 are three South Africa Designers: Wren, Africa Ignite and Feeling African. We have never had as many new products as we will be showcasing this year: over 5 with over 13 variations of them! 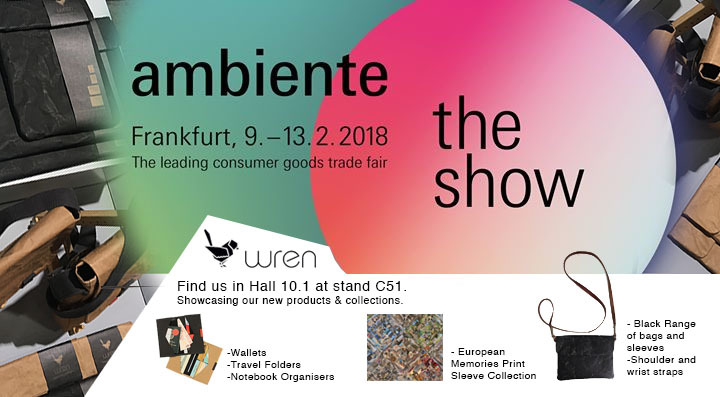 We will be showcasing wallets, travel folders, notebook organisers (in natural and black), a new black range of bags and sleeves, a European Memories digital print in all 8 sleeve sizes and the incredibly long awaited, post purchase attachable shoulder and wrist straps! 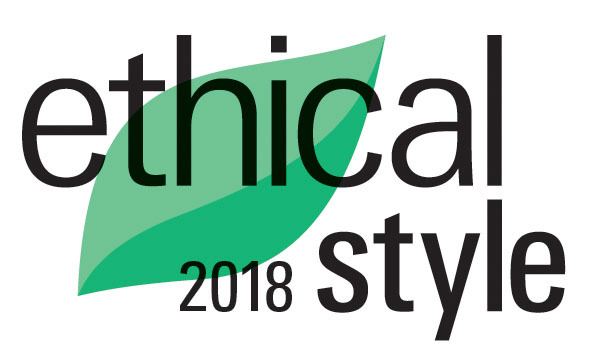 We are also proudly part of the Ethical Style Guide. Jeremy will be our enthusiastic sales person at the show and will be posting photographs of setup and of the event on our social media platforms: instagram and facebook. If you cannot visit the trade show, this is second best. This entry was posted in Blog and tagged Ambiente 2018, Paper Ambiente, Wren Ambiente, Wren Frankfurt.